Do you have a birthday or special occasion that you need to purchase something special for. 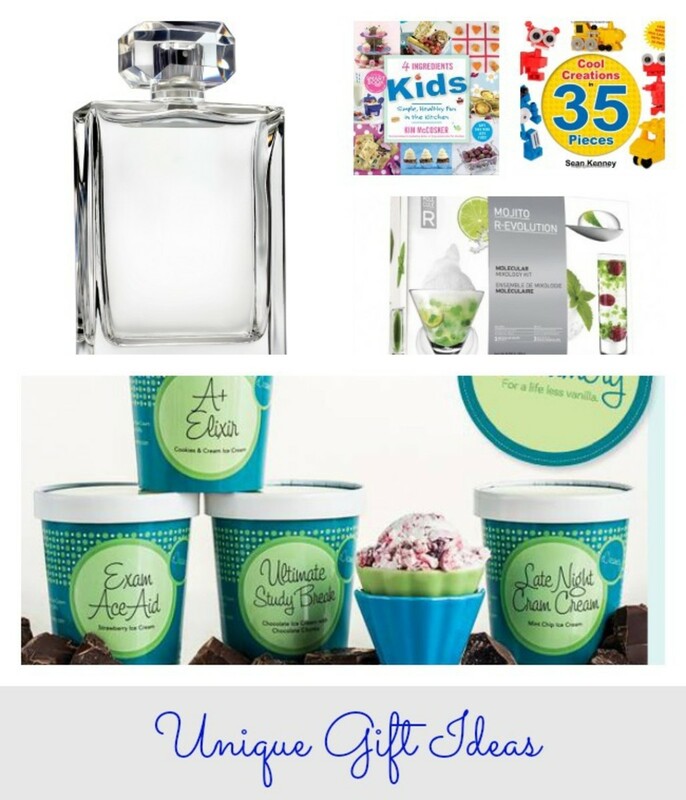 We love discovering meaningful and fun gifts and uncovered some of our favorites from perfume to ice cream! 1. Limited Edition Romance - #15YearsofRomance: It is pretty incredible that the fragrance, Romance is now 15 years old. To commemorate this classic fragrance, Ralph Lauren Romance launched the LIMITED EDITION 15TH ANNIVERSARY ROMANCE BOTTLE, a bottle that comes encased in a feminine keepsake box that is adorned with a crystal-inspired cap (crystal marks the celebration of a 15-year anniversary). We think this is a fantastic gift for a woman with its extravagant florals and seductive musk, including:chamomile, ginger, sun goddess rose, lychee, marigold, night-blooming daylily, white violet, paradisone, skin musk, patchouli coeur and exotic wood. The LIMITED EDITION 15TH ANNIVERSARY ROMANCE (150mL) eau de parfum will be available on RalphLauren.com and at select retailers in October 2013. It is priced at $95 (a $126 value). 2. eCreamery: We would never think of ice cream as a gift idea...that was until we tried eCreamery. This custom-made system allows you to create your own personalized ice cream by picking your own flavors, mix-ins and packaging. This starts by picking ice cream, gelato or dairy-free sorbet and then picking your flavor (they have over 40) and finally your mix-ins, which is anything from bacon to walnut brownies. The fun part for the gift is that you can personalize your packaging and custom name your flavor. I tested this out and I loved seeing my name in the flavor as well as enjoying a unique and really delicious treat. This is also great for the holidays where they offer holiday flavors like Mmmmery Christmas Cream, Season&apos;s Eatings, Sweetest of Holiday Wishes, and Most Wonderful Scoop of the Year. Also, during the month of December, ecreamery.com will be donating a percentage of sales to Big Brothers/ Big Sisters. Delicious and personal, this is one gift that people of all ages will love. 3. Molecule-R: We are loving the newest gastronomy kits from Molecule where you can make cocktails like Cosmopolitans, Mojitos, and Margaritas with a modern twist by unique features like adding light tasty citrus or creating suspending mint caviars right from the comfort of your own home. Within these kits, you will find all of the essential molecular gastronomy tools, pre-measured sachets of natural food additives, and step-by-step recipes to create drinks at home. This is a great gift idea for those that want to replicate how to make these cocktails as they dabble in molecular mixology. Great for gifts, parties or a relaxing night at home. 4. Books: Books are always a great gift idea and right now we are loving the book, Cool Creations in 35 Pieces by Sean Kenney. The book inspires readers to be creative with their LEGO bricks and to produce grand formations with very few blocks. Intricate, yet simple, Seans designs cover a wide range of categories and are easy to reproduce with starting points and step-by-step instructions included throughout the book. For cooks and kids, we are loving the book, 4 Ingredients: Kids by Kim McCosker. In this book, you can learn 80 kid-friendly, money saving and easy recipes. The incredible part is that they all use four or fewer ingredients. This includes ideas for 4 Ingredient breakfast, lunch and dinner with recipes such as Porcupine Balls (meatballs simmered in a tomato broth) Beef & Plum Stir-Fry, Pita Pizza, Lunch-box Sushi and much more.